We can provide rough terrain forklifts from 2.6t to 7t and counterbalance forklifts from 1t to 16t. Telehandlers from 6m to 14m are also available. Please click on a machine below for further information. 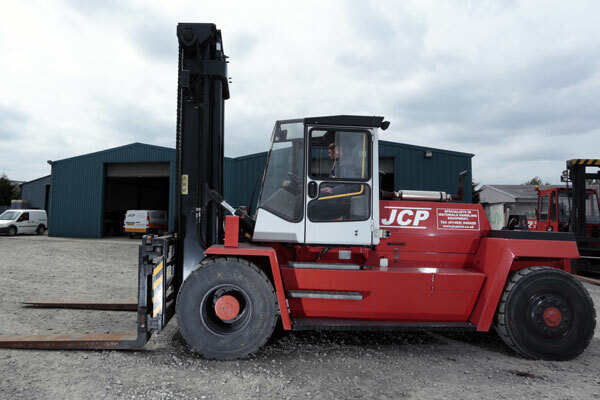 At JC Plant Ltd we have a selection of Caterpillar and Kalmar CB forklift trucks from 1t up to 16t for hire. Our machines have a multitude of attachments and can be adapted to work in a variety of environments. 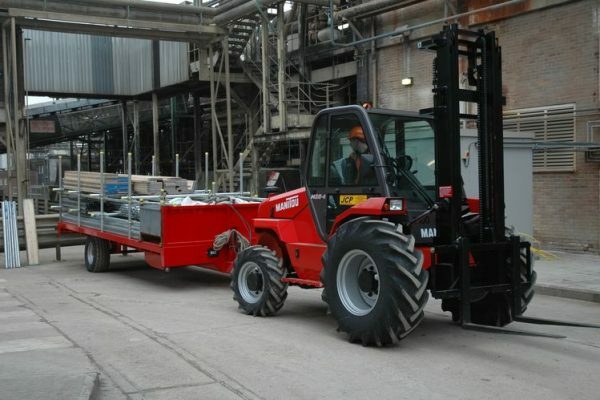 Our selection of Manitou rough terrain forklifts with hydraulic trailer hitches and trailer breaking systems are very effective when used on tight sites and confined spaces where tractors are not suitable. 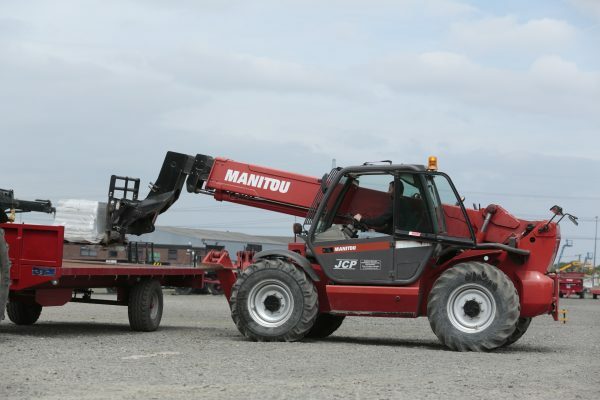 All our Manitou telehandlers come with trailer hitches, hydraulic braking systems and a variety of telehandler fork attachments. Our telehandlers can be used for towing Double Pivot trailers of up to a SWL of 10,000kgs. Important Safety Notice: Towing a Site Trailer with a Forklift or Telehandler. The driver must have training to be able to tow a trailer, over and above the licence needed to operate the towing vehicle. 3. Vehicle Selection: Most telehandlers and forklifts don’t have the capability to tow a trailer above 750kg. Over this weight, a proper towing hitch should be used in combination with inertia brakes (only between 750kg and 3,500kg), independent hydraulic or air braking systems. The vehicle, if it can tow, will have displayed a maximum gross vehicle weight (GVW) and this mustn’t be exceeded. 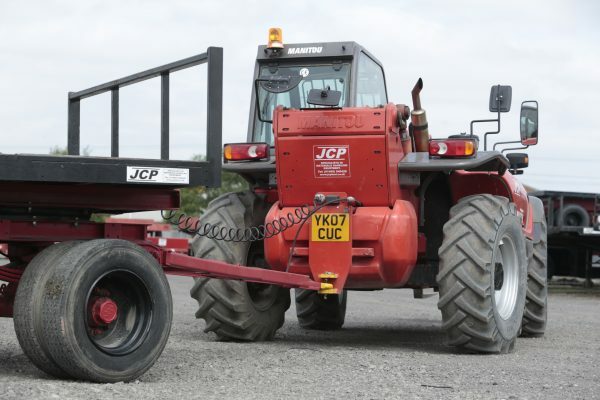 As an approximate guide, no telehandler or forklift will be able to tow over about 10,000kg. Always refer to the Operators’ Handbook before using the machine to tow.